In 1996 Hines acquired and master planned an 80-acre property on the waterfront in Barcelona, Spain. The 220-shop regional shopping mall was the centerpiece of the development and the largest indoor retail mall in the region. 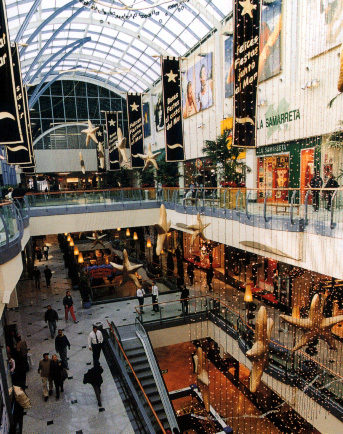 The mall consisted of 3 levels of retail shops including 4 anchors, 5 underground parking levels below sea level, a themed children’s world, a vast entertainment offer with an expansive outdoor restaurant terrace, with the highest levels of finishes throughout. Role: Joining the team in 1999 as Project Director for Diagonal Mar Centre, Roth was responsible for overall project management and coordination of the development. This entailed leading a 6-person leasing team, acting as liaison with equity and debt participants, developing a public relations and marketing campaign, coordinating with construction and design personnel, opening the center and transferring it to operations and ultimately coordinating the disposition. The development of the center required sophisticated debt and equity financing including an 11-bank consortium on the debt side. Given the immensity of the project and importance in spearheading development along Barcelona’s coveted waterfront, careful attention to political concerns and coordination with governmental officials was of paramount importance. Careful technical planning was critical given the vast underground parking requirement below the water table and the coordination of a myriad of subcontractors and consultants. 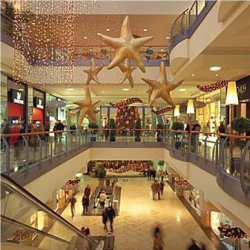 Elaborate marketing and leasing techniques were required that included one of the most costly and unique marketing centers and advertising campaigns seen in the retail sector in Europe. The project was 95% leased upon opening in 2001 and was subsequently sold to an open ended German fund.